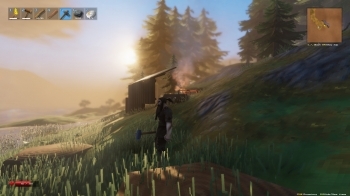 In the mood to try a new survival game? How about one that's free while it's in the alpha stages? 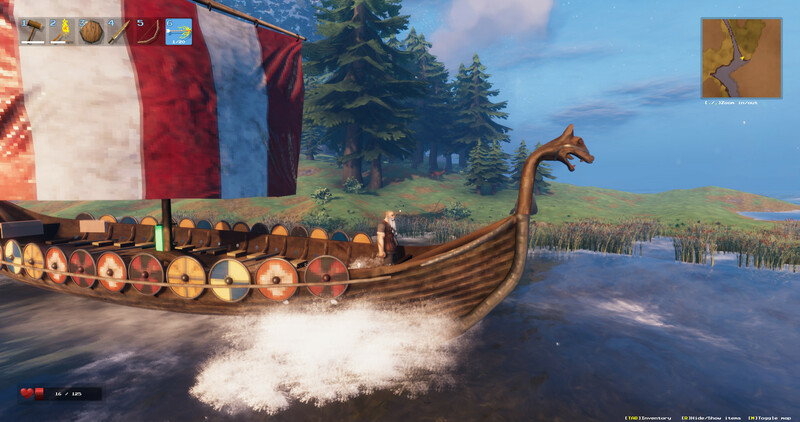 Valheim [itch.io] seems pretty interesting. What's also quite interesting, is that one of the people working on it actually does so on Linux, which is always sweet to find out. Huge procedurally generated world with different biomes. Block and dodge based combat system with a variety of different weapons and combat styles. Build bases, portals and outposts using an intuitive building system. Craft weapons, armors and tools using crafting stations. Cut down trees, mine for minerals etc. Defeat powerful enemies and huge bosses. Build and sail ships on the open ocean. 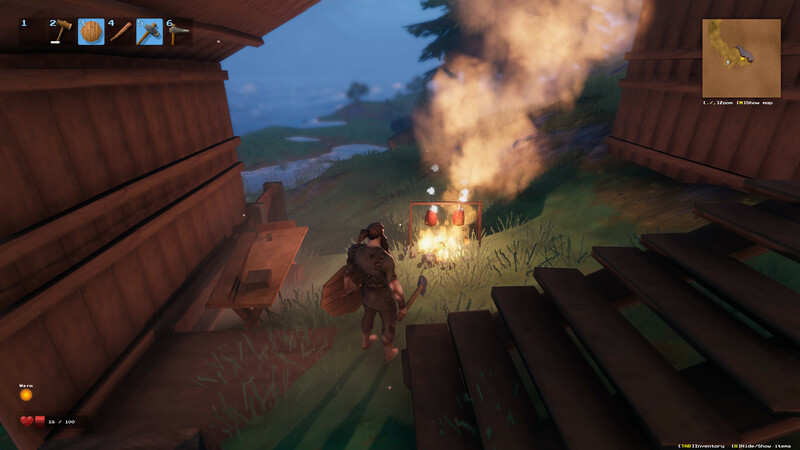 There's also plenty of features planned like upgradable crafting stations, collectable trophies from monsters and bosses, a female player model, more crafting options, more biomes, more enemies and so on. The more I play of it and learn the mechanics, the more the game has opened-up. Gathering new resources opens up new crafting options, the building system seems pretty nice with objects snapping together and falling down if they don't have enough support. I haven't seen too many enemies so far, but the ones I have seen are fun, especially those that run away when I get my torch out and set them on fire. Get off my land demon! It's quite tempting to boot up a server for this one, as it has some interesting ideas and the gameplay from my own testing seems quite nice so far. Quite amusing that I nearly died while cutting down a tree, as it fell onto another tree, that tree then smacked into another and then they all came tumbling down on top of me—woops. Find it free (for now) on itch.io. Seems cool. Waiting for Steam release. Looks impressive at the first glance. I'll give it a try. It's kind of like ARK except the developers actually know what they are doing. I might try it. I mean, it's free, right? I am not sure how I feel about the graphics. It looks like retro pixel graphics with a higher pixel count than most "pixel" games these days. I guess I'll see once it's on my screen in motion. I was a little sceptical about the graphics, but I'd say they actually look downright good in motion. The game runs quite well too, even if the loading times are really long, and the in-game information is quite lacking. Most definitely going to spend some more time with this, mainly because at first touch it feels like an actually playable version of A.R.K. 14 I might try it. I mean, it's free, right? Not a fan myself of pixel graphics, but this game is looking really good. It does look nice, monsters too (the forest ones are quite interesting). I feel like the biggest issue is the building though, it's very tedious (aiming and placement of parts), also the building hammer tool interface itself is quite poor. No go on Mint 19 and nvidia drivers, it boots up, shows the Made by Unity then just black background. Windows version works great. 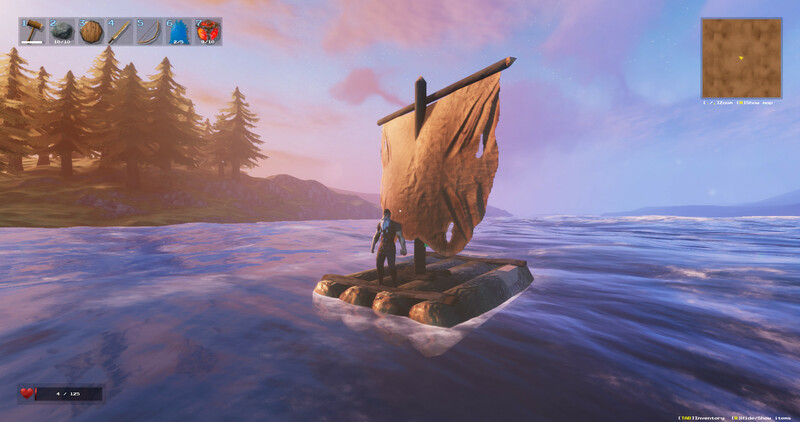 All other games like SOTA and Albion start just fine. Looks pretty, less retro-pixel-graphics-y and more a conscious, stylistic choice meant to evoke a sense of things being roughly hewn than pew-pew pixelated. Free on itch.io? Well, the price is right. And with a Linuxian at the forge, I'd be surprised if we didn't see a Linux build. Definitely one to watch. Gave it a try last night. A very short try because the key bindings couldn't be changed (yes, I did change them in the launcher) and I couldn't actually move properly.